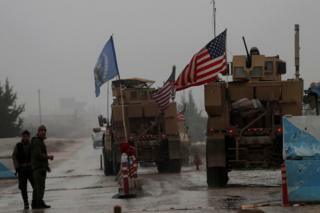 America's Kurdish allies on the ground in north-east Syria have been left feeling exposed as Turkey, which regards them as terrorists, appears poised to move against them. 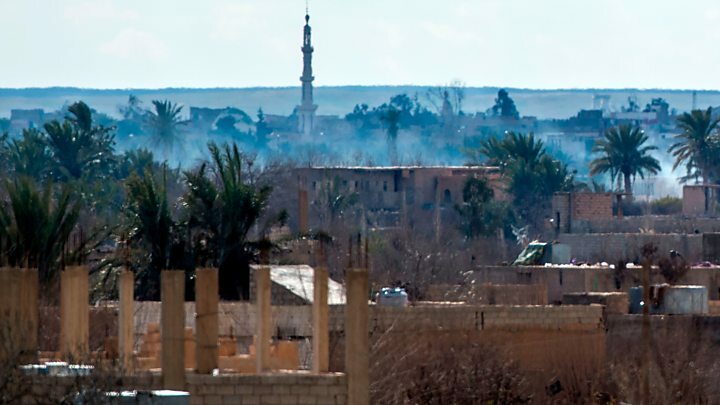 Syrian government forces could be seen taking up position near the city on Sunday but, according to the UK-based Syrian Observatory for Human Rights, they later pulled out "in order to avoid any frictions" with US forces in the area. In his announcement, Mr Trump had also declared that IS had been "defeated". However, on Monday, he said troops were being pulled out "slowly" and that they would be fighting remaining IS militants at the same time. Without giving names, he referred to complaints about his tactics from "failed generals who were unable to do the job" before he had taken over in the White House. And he boasted about achieving "far better results" in stopping America's foreign wars than even he had promised himself. What might a 'slow' withdrawal mean? Sen Graham, who had sharply criticised Mr Trump's withdrawal plans, held talks with the president on Sunday and later spoke of a "pause situation" regarding operations in Syria. "We're re-evaluating what's the best way to achieve the president's objective," the senator said. All three countries have forces deployed on the ground to support their respective allies, with Russia and Iran key backers of President Bashar al-Assad's government. 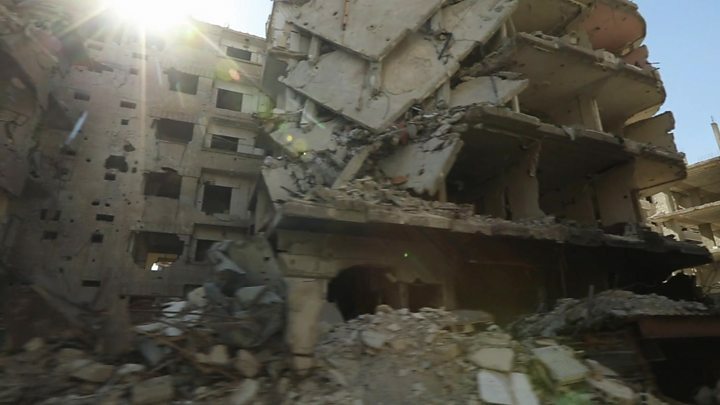 "Most of those killed during the first part of the year were killed in regime and Russian bombardment of opposition areas, including Eastern Ghouta," Observatory chief Rami Abdel Rahman told AFP news agency.